General awareness is a very important aspect for MBA aspirants. This article is aimed at enhancing your awareness about the current news and happenings that occurred globally in this week (17th September to 23rd September). It will help you in your preparation for the competitive exams such as MAT, CMAT, NMAT, SNAP, IIFT, IRMA, FMS, XAT etc. 1. 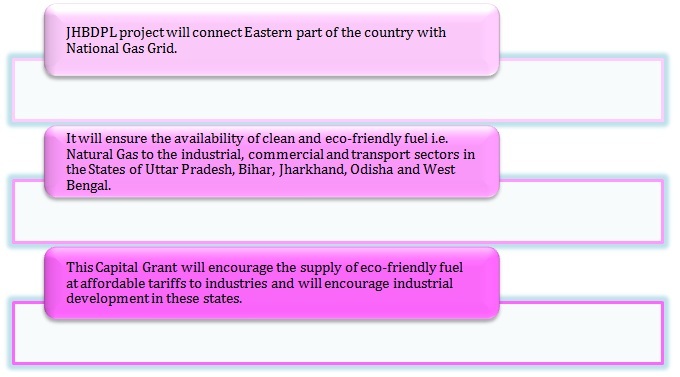 On 21 September 2016, Cabinet Committee on Economic Affairs (CCEA) approved the partial capital grant of 5176 crore rupees to GAIL (India) Limited for development of 2539 km long Jagdishpur-Haidia and Bokaro-Dhamra Gas Pipeline (JHBDPL) project. 2. On 21 September 2016, Union Cabinet gave its approval for signing and ratification of agreement between India and Samoa for the exchange of information with respect to Taxes. It should also be noted that Section 90 of the Income Tax Act, 1961 allows the Union Government to enter into an agreement with a foreign country or specified territory for exchange of information for the prevention of evasion or avoidance of income-tax chargeable under the Income-tax Act, 1961. 3. 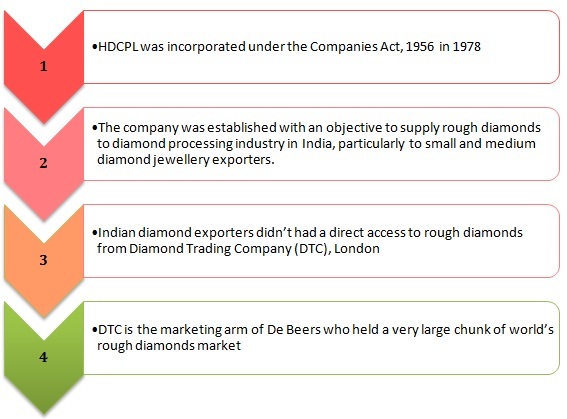 On 21 September 2016, Cabinet Committee on Economic Affairs (CCEA) also gave its approval for initiating the process of winding up of Hindustan Diamond Company Private Limited (HDCPL). 1. On 23 September 2016, India and France inked the 7.8-billion Euro deal for 36 Rafale fighter jets. According to the deal, the aircraft will be equipped with latest missiles and weapon system like Meteor and Scalp. The 7.8 billion Euro deal is crucial for the Indian Air Force. The deal is expected to give India the dominant status in the air. 2. 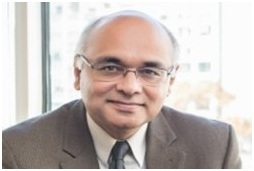 On 21 September 2016, Junaid Ahmad was appointed as the World Bank Country Director for India. He will succeed Onno Ruhl. 3. 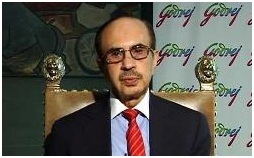 On 19 September 2016, Adi Godrej has been conferred the 10th Annual Clinton Global Citizen Award for leadership in business and philanthropy. The award was presented by Hikmet Ersek, CEO and President of Western Union, in the presence of former US President Bill Clinton..
4. Hemis monastery of Drukpa lineage in Ladakh region of India is witnessing once-in-12-years festival of Buddhist spirituality, culture and tradition known as Naropa Festival. The festival is also known as Kumbh Mela of the Himalayas. 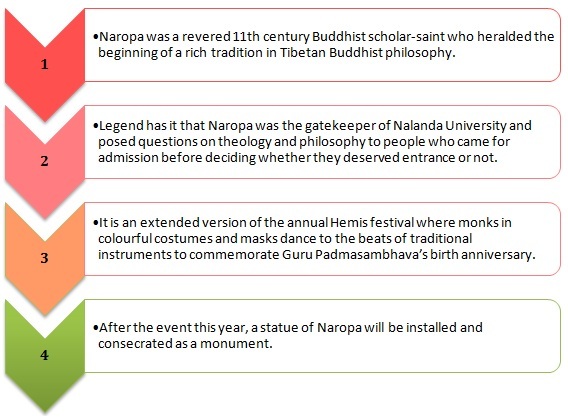 The Naropa Festival draws huge numbers of Buddhists, especially those from the Drukpa branch which is traditionally practised in Ladakh and Bhutan. 5. Anandi Ramalingam assumed charge as functional/whole time director of Bharat Electronics Limited (BEL). Ramalingam has assumed charge as Director Marketing. It is the first time that a woman has been appointed as the Director of the company. 1. Nadia Murad Basee Taha has been appointed by the United Nations Office on Drugs and Crime (UNODC) Goodwill Ambassador for the Dignity of Survivors of Human Trafficking. The appointment marks the first time a survivor of atrocities is bestowed with this distinction. During her Ambassadorship, she will be focusing on advocacy initiatives and raise awareness around the plight of the countless victims of trafficking in persons, especially refugees, women and girls. 2. India's Centre for Civil Society in collaboration with Canada's Fraser Institute released Economic Freedom of the World 2016 Annual Report. The report is based on data from 2014 and measures the World Economic Freedom (WEF) Index by analysing the policies and institutions of 159 countries and territories. 3. 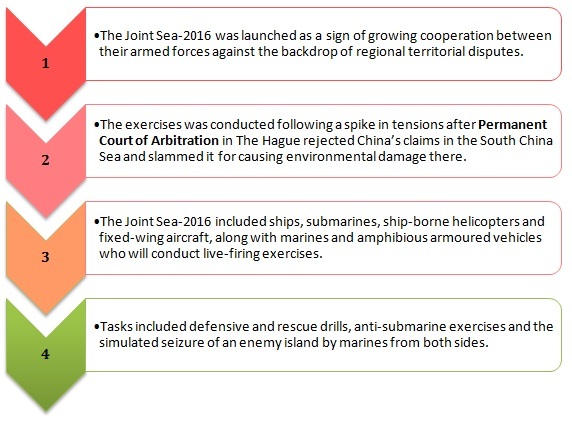 On 19 September 2016, Chinese and Russian navies concluded Joint Sea-2016, eight days of naval exercises, in the South China Sea. Short-term vision (4-8 years): it envisages targeting a group of priority sports, organising sports persons into three groups for each priority sport, harnessing the potential of indigenous and regional sports, selecting world-class coaches as well as a grading system for coaches. Medium to long term vision (8-15 years): It will focus on identifying talent at a young age, having sports curriculum in schools, a dedicated training program for coaches, encouraging development of sports infrastructure through private or PPP mode and developing a health and psychological support division. 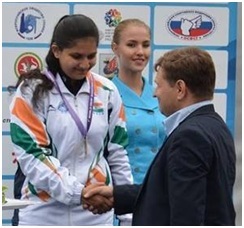 Deshmukh had qualified for the medal round after scoring 404.9 in the qualification round. 3. In the third week of September 2016, Mahendra Singh Dhoni was named the captain of the all-time India Test XI chosen by cricket magazine Wisden. Dhoni has received the honours ahead of Sourav Ganguly and Mohammad Azharuddin. 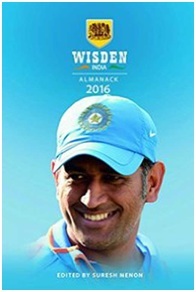 Wisden is one of the most reputed cricket magazines in the world, announced the team to mark India's 500th Test match starting on 22 September 2016 against New Zealand at the Green Park Stadium in Kanpur.